The Vitality Quiz | What's My Health Blueprint? 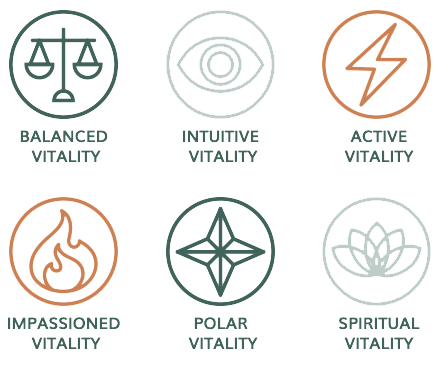 WHAT IS YOUR VITALITY BLUEPRINT? A Blueprint that indicates your level of health and vitality can be provided to you, and knowing your Blueprint can make all the difference in your energy and enjoyment in life. There are Six Energetic Categories that dictate how your unique blueprint controls the foundation of your health. Knowing yours can make all the difference in the way you feel every day. In fact, each blueprint has its own unique characteristics, strengths, and weaknesses. And just like your DNA, your blueprint affects all areas of your wellness including mental health, emotional health, as well as your physical health and characteristics. Dr. Judy Hinojosa has developed The Vitality Quiz, based on her training in Eastern medicine, to quickly recognize her patients’ energetic blueprint and recommend a unique curation of lifestyle adjustments, treatment, and health management techniques that can lead to an optimal state of natural health. Wouldn’t it be wonderful to have a comprehensive and authentically personal guide to elevate your health and restore your natural happiness, energy, and vitality? Most people spend their life struggling with health issues such as weight challenges, low energy, mood problems, hormone imbalances, chronic pain, or illness. While there are mainstream pills, diets, and treatments for these ailments, unfortunately they are made with synthetic ingredients and only treat each problem in isolation. What if you could replace these treatments with whole-health solutions that improve your mind, body, and spirit simultaneously? Too often, we are led to believe that health and wellness come from outside of ourselves. But imagine if you could tap into an infinite well of healing power within yourself where you determine your own wellness and healing. 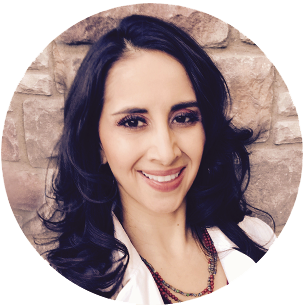 Dr. Judy Hinojosa, a naturopathic medical doctor, is the lead physician and owner of one of Arizona’s most successful natural health and wellness centers, Vitality Natural Health Care. She is passionate about getting to the root cause of her patients’ concerns, using both science-based and natural modalities. Dr. Judy is known for her compassionate, caring and highly intuitive touch, and loves to educate her community on holistic health. Featured on numerous radio and TV shows on the topics of clinical nutrition, women’s medicine, natural hormone balancing, Chinese medicine, energy medicine, homeopathy and mind-body therapeutics, Dr. Judy is living her life’s purpose helping people achieve their personal health goals. She loves to travel the world, meet like-minded people and makes personal development a priority in her life and business. Using The Vitality Quiz, Dr. Judy Hinojosa is able to give patients medical guidance based on their unique results. This comprehensive guidance includes suggestions on food choices, lifestyle, exercise, stress management, healing methods, and more. The human body’s natural abilities are quite astonishing. 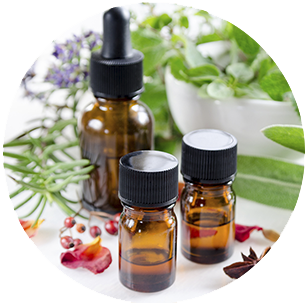 Your body contains within it the potential for remarkable healing, and with the right natural therapies and guidance, you can strengthen and draw from this source of power for self-healing. Naturopathic medicine is based on this natural healing ability. Because of this, naturopathic doctors (NMDs) teach their patients to use diet, exercise, lifestyle changes and cutting-edge natural therapies to enhance their bodies’ ability to prevent and combat disease, as well as blend the best of modern medical science and traditional natural medical approaches to not only treat disease, but to also restore health. Start your journey to a life full of vibrance and abundant health.